International News is at the heart of the BBC. 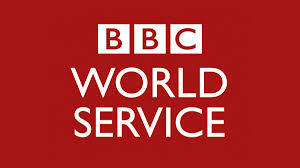 BBC News Group employs approximately 1,500 staff in 74 news bureaux around the world. It provides multimedia services to a global weekly audience of over 350 million in English and 42 languages around the clock, every day of the year. The bureaux react to breaking news, provide news updates and analysis and produce live programme output. In a highly competitive market, delivering to both UK Licence Fee payers and commercial partners, BBC News services must be reliable and consistent and continue to meet the high standards expected by our audiences. The BBC’s Kiev Bureau is one of the former SU bureaux and is among the most challenging of broadcasting environments. The Bureau provides BBC content across all BBC platforms, with broadcast news and current affairs material of the highest possible editorial, production and technical standards, gathered in the most efficient manner on a range of subjects. News from Ukraine and the former Soviet Union occupies an important place in the global news agenda and the BBC seeks to remain a competitive, respected and reliable source of information from across the region. The International Bureaux Management team supports all News Group bureaux. The post holder will report to the International Manager responsible for Europe and will work closely with the International Bureaux Management and the International Bureaux Finance teams, as well as local suppliers where necessary. You will be responsible for all aspects of the day-to-day running of the Kiev Bureau, ensuring the Bureau is run according to BBC principles and complies with Ukrainian legislation. Fluent spoken and written English and Ukrainian; excellent communications skills and ability to manage remote communication effectively. Experience of supporting and delivering to strategic objectives. Sound book keeping experience: working with budgets; preparing financial reports; advising managers of cost issues; good working knowledge of SAP and/or relevant accounting software. Thorough knowledge of local tax, commercial, media, labour and safety legislation. Experience of managing and motivating a team; strong personal skills and confidence in communicating with people at all levels and from different backgrounds. Experience of stakeholder and crisis management. Excellent negotiating and influencing skills, with demonstrated experience of negotiating contracts with external suppliers and partners. Demonstrated experience of introducing new, flexible and efficient working practices. Demonstrable ability to handle pressure, meet tight deadlines; to prioritise work and to confidently delegate authority; to manage several projects at the same time. Excellent IT skills, with advanced knowledge of and programmes such as Excel, Word and Outlook, as well as the ability to become proficient in internal BBC technology systems. A lively interest in the broadcast news, online news and wider media environment and appreciation of the particular demands it may place on financial and administrative work. A knowledge of Ukrainian media scene and future trends; sensitivity to and awareness of the role of international broadcasters in Ukraine.